Our cameras are used by county officials, city and state police and quite frequently by the Militaries around the world to assist in providing a safe environment for people as well as investigating crimes. Our cameras will increase the area that an organization is able to cover in order to inspect potential points of interest, find lost or stolen items and inspecting a site in order to formulate a plan. SPLASHCAM is also widely deployed for security and monitoring purposes for important assets, both below water and in harsh weather environments above water. 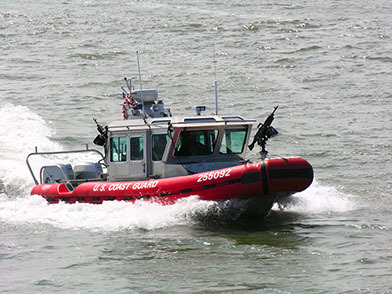 Other aspects in the Law enforcement world that SPLASHCAM plays an important role in are: search and rescue, security around busy port terminals and potential forensic investigations.